If your doctor suspects that bacteria has caused your ear infection, they will prescribe an antibiotic for treatment. Be sure to take all of the doses even if you are feeling better because your infection could return if you don’t take the full course. Unfortunately, it is often a virus that causes an ear infection, in which case you just have to wait for the infection to improve. The good news is that you don’t need to live with the pain and can take an acetaminophen like Tylenol or ibuprofen such as Advil for relief. These pain relievers can also help to reduce a fever if you are experiencing one with your earaches. Another way to get treatment for ear infections in adults is by doing some simple things at home. When you are experiencing an earache or a stuffy ear, try standing tall and keeping your head erect so that you can help drain your middle ear. You can also try gargling salt water, which may help to clear your eustachian tubes. Another helpful technique is called autoinsufflation, which sends air through your eustachian tubes by squeezing your nose, closing your mouth and gently exhaling. It is important to get some fresh air to provide relief to your ears, so try to avoid secondhand smoke when possible. If you are a smoker, the best advice is to refrain from smoking until your symptoms have improved. If your ear infection has caused serious complications or fluid has remained in your ear for an extensive amount of time, your doctor may recommend a myringotomy. This is a common procedure where a small surgical incision is made in the eardrum so that fluids such as water, blood and pus can drain out. The procedure is usually accompanied by the insertion of a tiny tube into the newly created hole in the eardrum so that infectious material can continue to drain out and not get backed up again. This tube, which also helps to reduce pain and improve your hearing, normally falls out on its own within a period of anywhere between 6 and 18 months. Now that you are familiar with how to get treatment for ear infections in adults, we hope that you can shorten the duration of your infection! 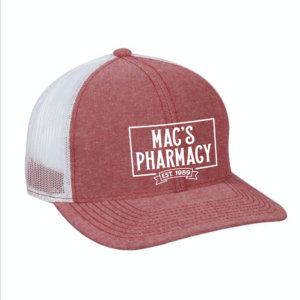 At Mac’s Pharmacy, we are dedicated to improving your health and well-being. So, learn more about how we can assist you with all of your pharmaceutical needs! We look forward to helping you!